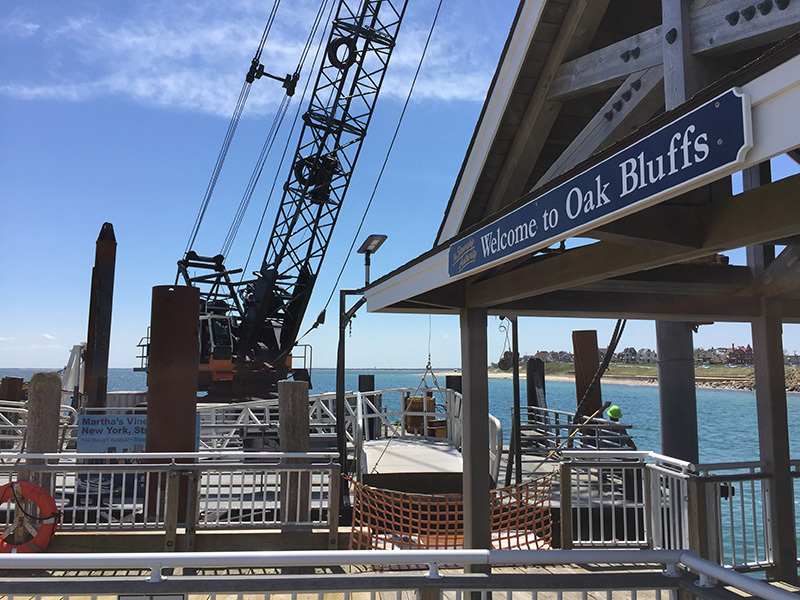 The Steamship Authority’s Oak Bluffs terminal opened Friday amid ongoing construction to repair storm damage caused in March. 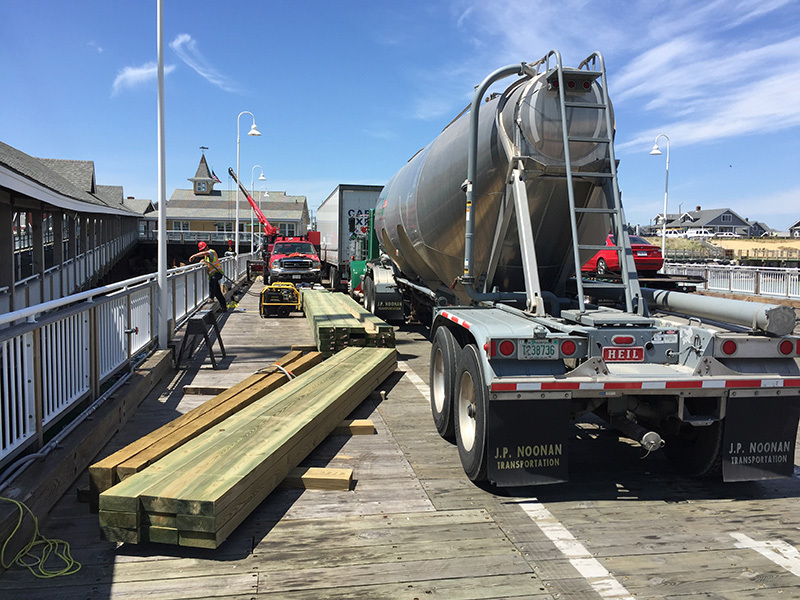 Marine contractor Robert B. Our’s equipment and personnel dotted the periphery of the docks as passengers and vehicles loaded and unloaded Friday morning. 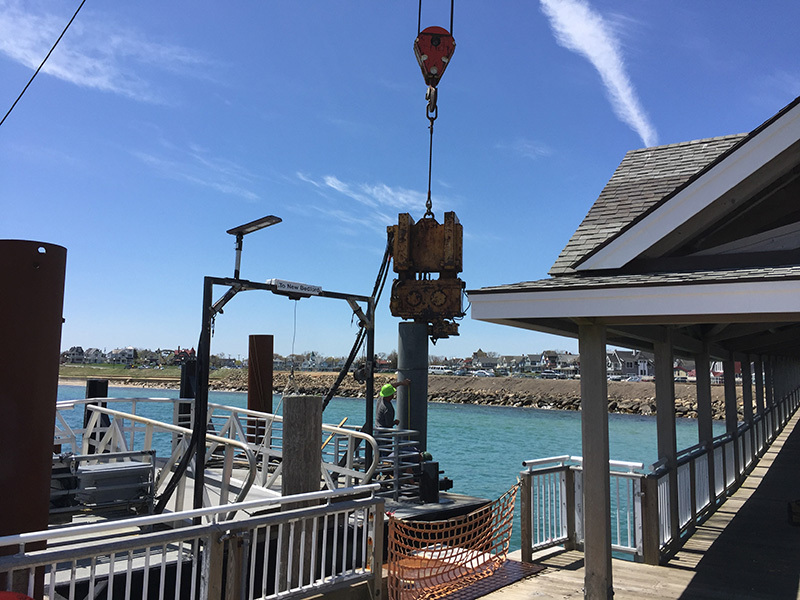 AGM Marine Contractors brought in the barge supporting the SeaStreak dock and gangway Thursday, SeaStreak general manager John Silvia said. 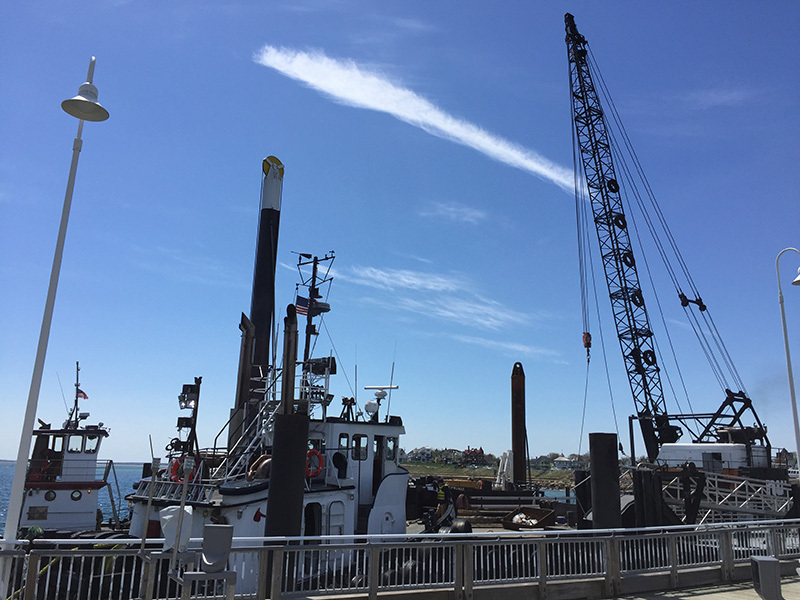 A crew aboard the AGM crane barge Triton finished securing the dock and gangway barge by noon Friday. 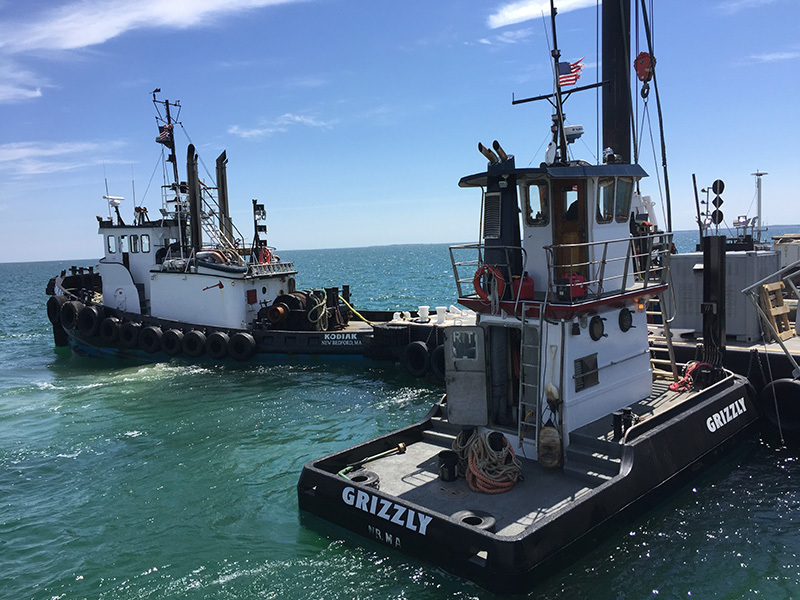 The Triton was then taken away by the ocean tug Kodiak and the push tug Grizzly. 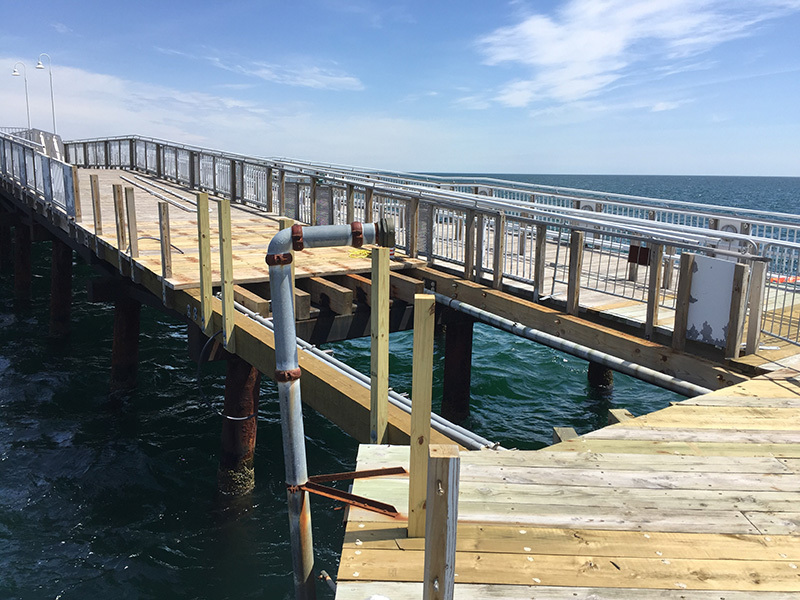 Silvia said the MV Whaling City Express will begin service in Oak Bluffs on May 18. On Memorial Day, the new MV Commodore, a 150-foot, 600-passenger high-speed ferry, will begin runs to New York, he said. The MV Commodore is one of the fastest vessels of its type in the United States, he said, reaching 39 knots during recent sea trials. 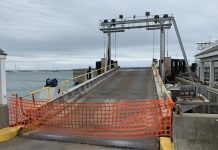 The MV Commodore will travel between Oak Bluffs and New York in five hours, he said.